A defining characteristic of charter schools is that they introduce a strong market element into public education. In a standard private sector market with differentiated products, new firms enter a market in response to profit-making opportunities. Over time, the firms that are well run and that satisfy consumer preferences will tend to expand or be replicated while those that are less successful will go out of business. If this reasoning is applied to the market for schooling, more choice should produce a better educational fit between what schools offer and what parents want for their children and ultimately lead to better outcomes. 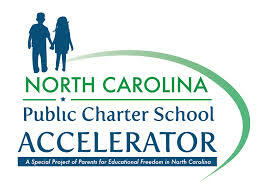 Here is a look at the charter school sector in North Carolina. – Thirty-three charter schools were operating in the 1997-1998 school year. The number had risen to 97 by 2005, through a combination of new entrants and a few exits, and to the maximum allowed, 100, by 2012. – After the cap was removed the number of charters in the state grew rapidly—nine new charter schools opened for the 2012-2013 school year and 23 more for the 2013-14 school year, although five schools also closed during that period. – Another 97 schools received charters between 2014-16. As of 2014, charter school students accounted for 3.6 percent of all public schools students in the state, with the percentage of K-8 students (4.2 percent) being twice that of 9th to 12th grade students (2.1 percent). Although the overall percentages are low, they are far higher in some of the urban districts—currently, charter school students account for 15.1 percent of all students in Durham, 4.7 percent in Winston-Salem, 6.1 percent in Charlotte-Mecklenburg, and 4.9 percent in Wake County Schools. So why are charter schools seeing increased demand? Parents want their children attending schools with higher achievement levels.